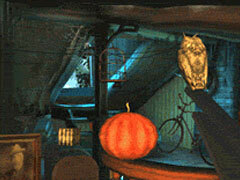 Have you ever wondered what happens in the attic on All Hallow’s Eve? Are you brave enough to venture into the dark unknown? Sneak upstairs if you dare and explore the mysteries that lie under your roof on the scariest night of the year with this 3D Halloween screensaver.